Midtown outpost of Marc Forgione’s steakhouse in The Lombardy hotel. 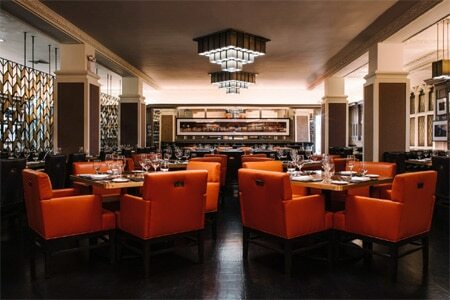 : LDV Hospitality and Marc Forgione opened a Midtown outpost of their beloved TriBeCa steakhouse. Located in The Lombardy hotel, American Cut Steakhouse Midtown is similar to the original, with a few unique additions to the menu.